It’s never been easier or more convenient to access your account. 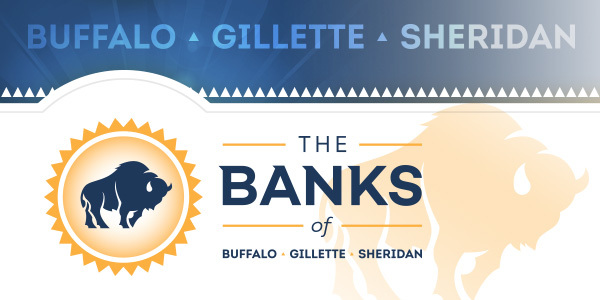 Whether you need account information, to transfer funds or to make a mobile deposit, The Banks of Buffalo, Gillette and Sheridan have you covered with our 24/7 Banking services. Call for deposit, withdrawal and balance information, funds transfers, loan information and more. Please have your ten-digit account number and the last four digits of the primary account holder’s social security number available when calling. Enrolling is simple and easy. Click on the link at the top right of our homepage, fill out the online form and you’ll receive an email with your login information to complete the process. You can easily track deposit, withdrawal and balance information, transfer funds, reorder checks, pay bills online and more. Download the Buffalo Federal Bank app for access to a full range of mobile banking options including account balances, transferring funds, complete mobile deposit transactions — even person-to-person payments. What do I do with my check once it is deposited? How quickly will the funds be in my account? In normal processing the funds from your deposited check will be in your account right away. To ensure proper processing, please make sure that the images of the front and back of your check are clear and include all four corners of each side. How does my institution use the pictures I take to make a deposit into my account? On October 28th, 2004, the Check Clearing for the 21st Century Act or Check 21 went into effect. This law was designed to enable banks to handle more checks electronically and make check processing faster and more efficient. Because of Check 21 your institution is able to use the images captured on your phone to convert your check into a Check 21 image and process it electronically as a replacement of your paper check. Yes. As a service to our customers, we give immediate availability to the checks you deposit. As with paper checks, there is still the opportunity for the institution that holds the account the check is drawn off of to return the check because of insufficient funds or other reasons. The process for recovering the funds from these checks is the same as if you deposited a paper check. If I receive an error when trying to deposit my check, what should I do? The most frequent error is caused by an invalid image. Make sure that your check is against a solid background such as a table, that the image is focused, and that all four corners of the check are visible. If the image is good you may be getting an error that tells you the check cannot be deposited at this time. Wait several minutes and try submitting the check again. If errors persist, please contact your institution. For assistance with any of our 24/7 Banking services, contact your local branch and we’ll have you banking when and where it works for you in no time.